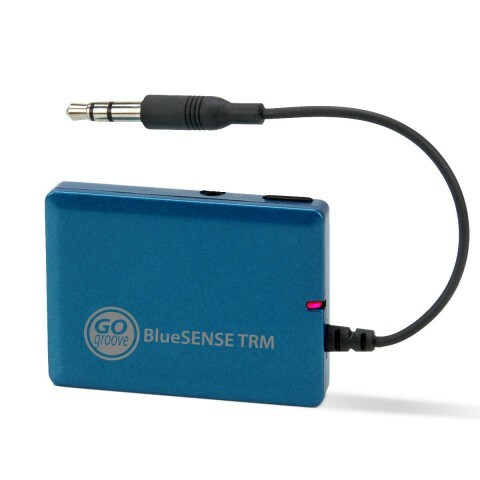 The GOgroove BlueSense TRM is a portable Bluetooth TRANSMITTER allowing wireless streaming from virtually any audio source! Charge via standard USB port & pair with your favorite Bluetooth-enabled speaker system or headset! 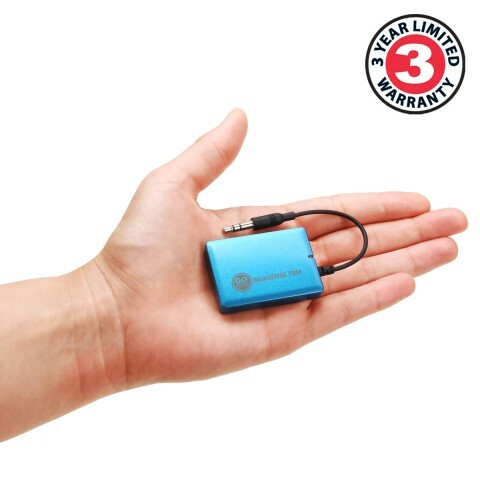 BlueSense plugs in to any standard 3.5mm audio-out jack for instant streaming convenience. 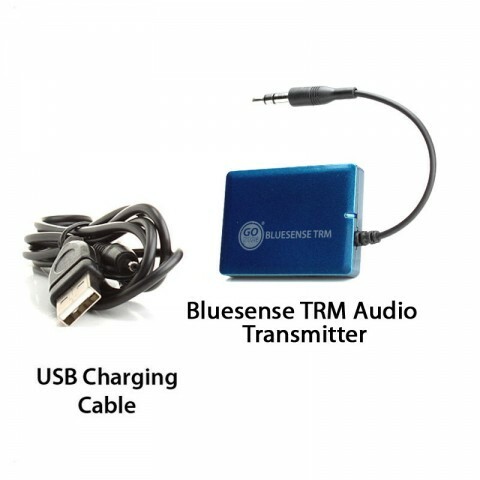 BlueSense automatically syncs with your Bluetooth speakers, headsets, & headphones. Simply enter device into "Pairing Mode," hold down BlueSense's power button for 5 seconds and you're set! With 10 hours of power on a single charge, the uses are endless! 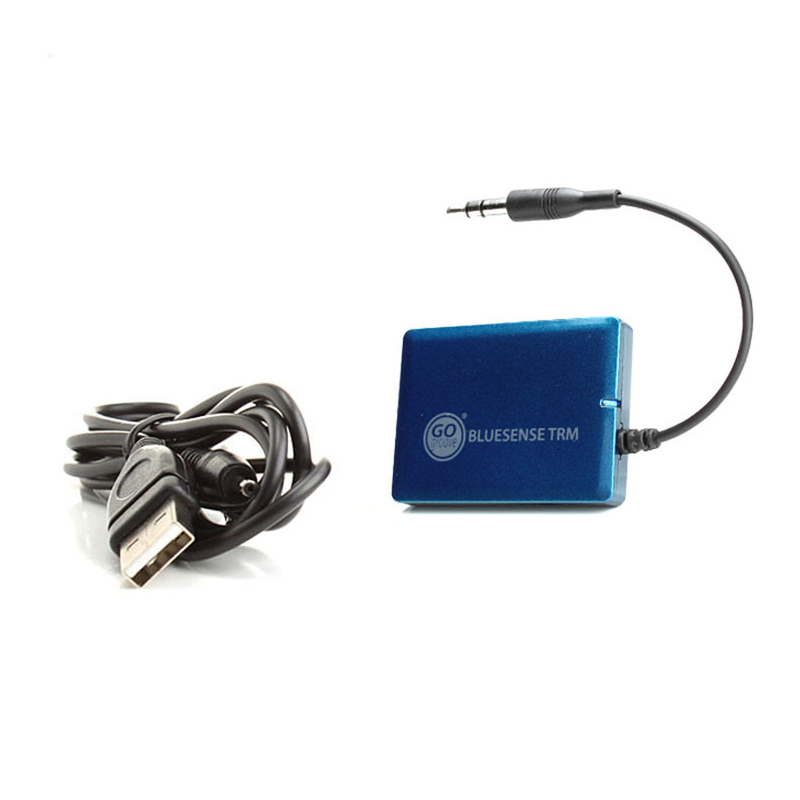 If you have an audio device that isn't Bluetooth capable, the BlueSense is for you! 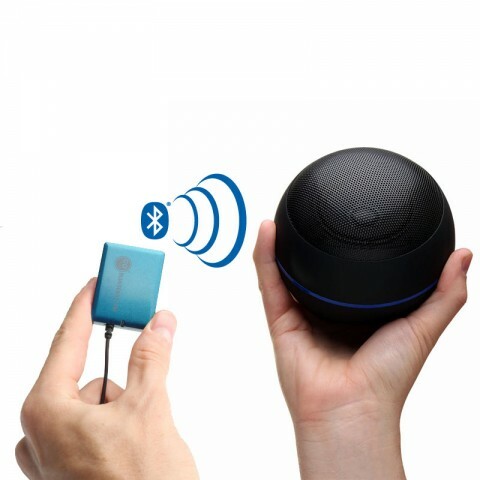 Just sync with a speaker system or headset to enjoy audio at home, or use a portable Bluetooth speaker & stream while camping, tailgating or at your next party! 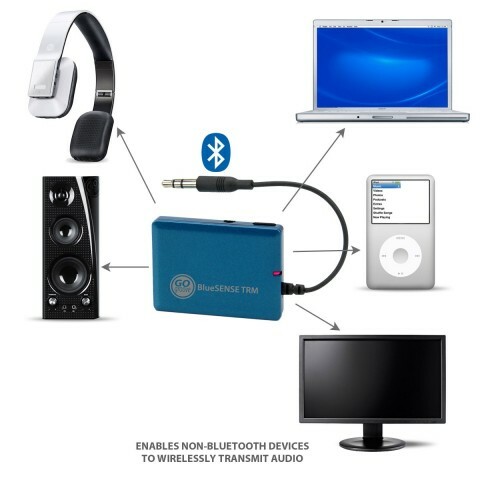 Plug into an audio receiver & pair with a Bluetooth headset for personal audio. If you're looking for compatible Bluetooth speakers or headsets, GOgroove has you covered! Be sure to check out our speakers like the GOgroove Bluesync MC or GOgroove Bluesync OR3, and headsets like the AirBand or BlueVIBE DLX. 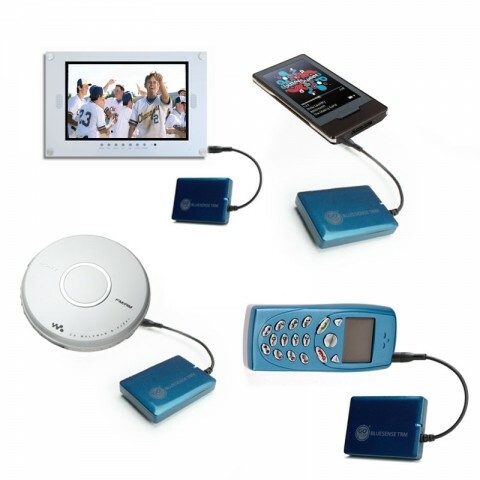 For even MORE creativity, pair with the GOgroove BlueGate Bluetooth Receiver and sync practically ANY two media devices!